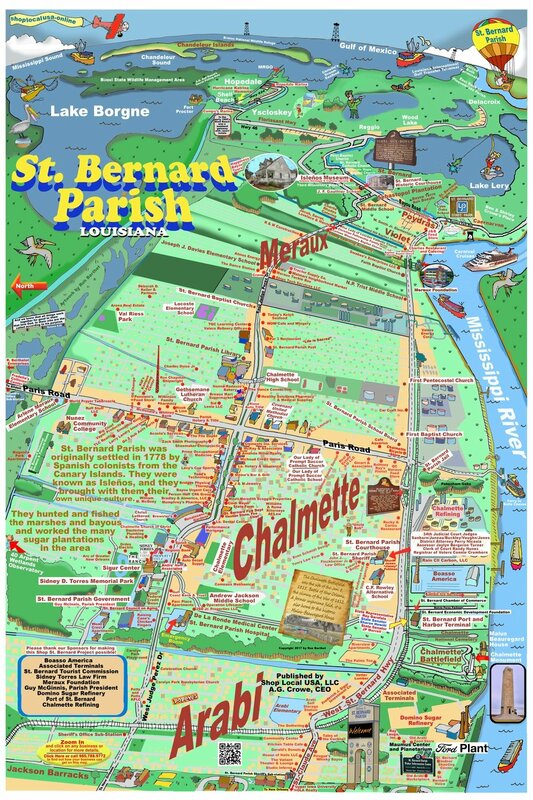 You can find out everything you ever wanted to know about the great Parish of St. Bernard by visiting www.shoplocausa.online and taking the "Digital Tour" of St. Bernard. This highly detailed rendering captures the specialness of "da Parish" and shows the extraordinary diversity of businesses, its culture and its people. This 24" X 36" full color rendering comes with a back board ready for framing and is our newest and will be our most popular rendering yet. Please email info@shoplocalusa.com to reserve your print(s).